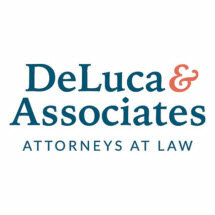 Founded in 1995, DeLuca & Weizenbaum, Ltd., is a law firm for the people. We are committed to using the law to help those who have been harmed or injured so that they may pursue justice and seek fair compensation for damages suffered. We play an important role in the community. We have earned an excellent reputation in the community by helping to ensure that injured people are treated fairly; that hospitals and corporations are held accountable for their actions and forced to behave more responsibly; and that consumers and workers receive better protections. It is our goal not only to help grieving families and those individuals whose lives have been permanently changed due to injury, but to help reduce the risk of future injury, thereby making our community a safer place to live. We keep the focus on our clients. Our clients are very important to us. They can expect the highest quality representation delivered with passion and expertise. Voted among The Best Lawyers in America in 2005, 2006 and 2007, we strive to create an environment where every case is treated as the most important one in the firm. Each of the firm's partners has developed extensive knowledge in one or more of our practice areas, ensuring that in every case we can achieve all that our clients deserve. The difference is in our approach. We approach every case as a team. Every member of our staff - partners, associates, paralegals, registered nurses - work together to bring a fresh perspective and creative intelligence to the important process of building a case. Part of that process includes intensive research and investigation, as well as consultation with highly qualified physicians and other healthcare experts. We go to great lengths and engage in tremendously creative efforts to achieve success on behalf of our clients. We thoroughly prepare each case for trial and keep clients fully informed of case developments and status. We diligently plan our strategy. We understand that the law is a powerful tool for justice and that successful case resolution takes careful planning and a deliberate strategy. That's why we use multiple focus groups to help us learn about any areas that might need a new or different approach. By confidentially presenting the case to a group of ordinary individuals, like those who might make up a jury, we gain valuable information and insights about the case.